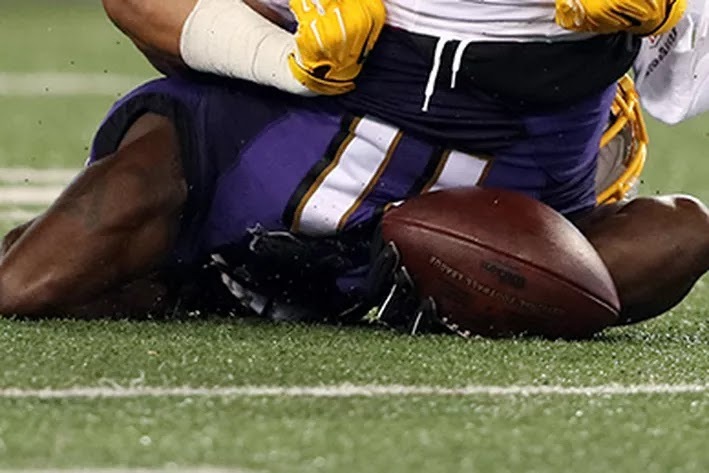 With 30 seconds remaining in the first quarter in Saturday's night between the Baltimore Ravens and Washington Redskins, Ravens WR Kamar Aiken was lifted and thrown down headfirst into the turf by Redskins linebacker Keenan Robinson. Both benches emptied as they two teams brawled at midfield. Ravens WR Steve Smith Sr. and Redskins LB Chris Culliver were ejected. No punches were thrown, but there is a new rules emphasis on fighting this year. I'm all for big, clean hits. It's a part of the game, and always should be. But this is unacceptable. Robinson's completely unnecessary tackle not only put himself at risk for a penalty, but also put Aiken's career, even his life on the line. Neck and head injuries are no joke. It's amazing that Aiken was left without a scratch. The hit caused a brawl between the two sides. It was a fight that resulted in the refs having to write down the many penalties called on an index card, and included two ejections. Even the two coaches got into it a bit. 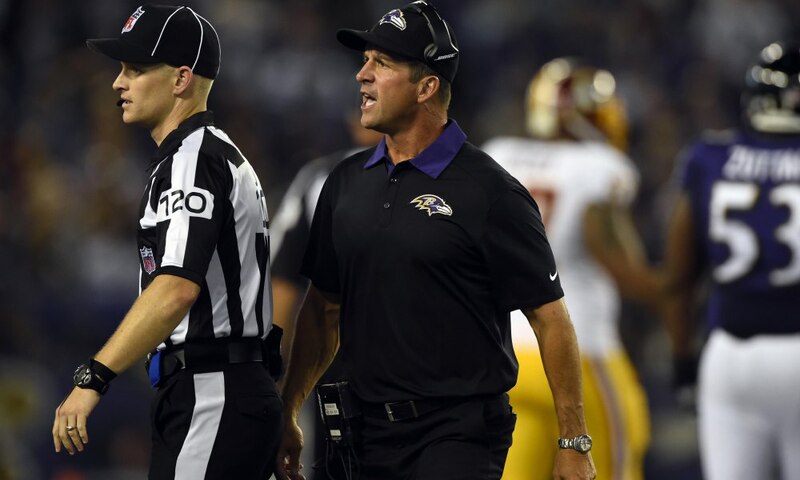 Baltimore head coach John Harbaugh wasted no time in coming onto the playing field in his role as peacemaker. Harbaugh ran to the Redskins' sideline to help pull his players away from the scrum. Redskins head coach Jay Gruden exchanged words with Harbaugh. "That doesn't bother me, what gets said to me out there," Harbaugh added. I hope that in the coming days, Keenan Robinson is fined heavily and suspended. This kind of thing has no place in the league. If the league is suspending players for deflating footballs and doing drugs, then putting another player's life in danger on purpose should certainly result in a suspension. John Harbaugh was just getting warmed up. In his halftime conversation with reporter Brent Harris of Comcast, John would not answer about what was said to Jay Gruden. His response was for Harris to give me " a good question, and he would answer it." Who says that preseason games are meaningless? John Harbaugh used the third game to get ready for the season opener. The bulging neck veins were on display as Harbaugh bullied the sideline report, Brent Harris. The "walkoff" halftime interview is a running joke depending on what mood the head coach is in. In the Saturday tussle with the Redskins, it was a "foul one." The bad blood between the teams goes back to last year's preseason game when S Brandon Meriweather delivered a helmet to helmet hit on Ravens' WR Torrie Smith. The hit on a defenseless receiver drew a two game suspension for the former Redskins and New England Patriots' oft-penalized "hitter." I can see why John Harbaugh was in a fighting mood last Saturday night. The 31-13 loss to Washington didn't help matters, either.